June is my favourite month of the year. There are many reasons for this. Here are just a few. It’s summer, but the kids are still at school – all home workers can probably relate to this one. I can wear shorts. Don’t worry – I have no photographic evidence of this. Long, hot sunny days. I nearly said lazy, but in the Morris household, work never stops. We like it better that way. The summer solstice. I hate winter, and this is the furthest I can get from it. Wimbledon. Actually I don’t watch this, but if you forced me at gunpoint to watch a sport, I would choose tennis. 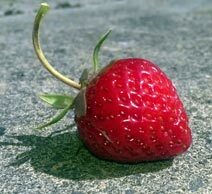 Best of all, strawberries – picked fresh from the garden, if you can beat the slugs! Do you like June too? If so, what do you like best about it? This entry was posted in Life and tagged Gardening, Happiness. Bookmark the permalink. Summer is so much better than winter, but I love the spring equinox the best because I feel like it is as far away from the next winter as I can get. That’s true! I love spring as well, of course. I like that it’s bustin’ out all over. You talkin’ ’bout my shorts? Good grief young man; I should certainly hope not! Yeah, I love June for the whole summer thing, but the Solstice makes me a little sad ’cause we’re headed back to the darkness. I know exactly what you mean. I quite like that bittersweet aspect though. 1. It’s winter, but the kids are still at school. 2. I never wear shorts, and at this time of year nor does anyone else, so I don’t feel like the odd one out. 3. Long cosy winter evenings in front of a warm wood fire. It’s the first month of the year where the fire is lit every day. 4. The winter solstice. I dislike summer, and this is the furthest I can get from it. 5. Rugby and Netball. Not that I’m particularly interested in either, but they are shorter games than cricket. 6. Best of all, Feijoas! Don’t have to compete with the birds or garden pests, and their aroma as they ripen in the fruit bowl, fills the entire house. Ah, heaven. Har, har! Thank you for your upside-down look at the world, Barry. Feijoas are new to me, but they sound wonderful. Feijoas are a fruit you either love or loathe. The smell is caused by Methyl benzoate, which can’t be ignored. We have a hedge consisting of six feijoa trees, and during the peak fruiting season we gather up to ten kilograms per day. The nice thing about feijoas is that they have no pests or diseases. The fruit drops to the ground before it is fully ripe, and then take a few days to reach perfection. I hate June! But it’s 110 degrees today here in Tucson. At this point “But it’s a dry heat” doesn’t apply. On the other hand, at least it’s not Phoenix (115 there). OK, that’s not the kind of weather we have in Britain, at any time of the year (I had to “translate” 110 degrees into 43 Celsius). 25 degrees Celsius, or 77 Fahrenheit is what I regard as hot. I have often wondered if there is a place with the perfect climate, and concluded that the birds have got it right by dividing their time between a summer and winter residence. That’s what people here do. They even have a name—snowbirds. Snowbirds are noted for their white coloring and white-bluish hair. They migrate from places like Iowa. They’ve flown away and now and traffic is much better. That’s one good thing about summer in Tucson. The best climate…I’m thinking coastal California for the U.S. I’m about to take a trip to San Diego where my sister in law lives, and she talks about June gloom—a few cloudy days—and I just have to roll my eyes. The weather there is consistently 70F (21C). I’d love to move there except it’s become too expensive. I’d love to move to the central CA area—Paso Robles would be great. Actually, truth be told, I’d really love to move to England. You guys have it great there. You can travel to all these different countries in no time at all. But England makes CA look cheap. Why don’t you send some our way? I’ll give you some of this sunshine in exchange. Deal? 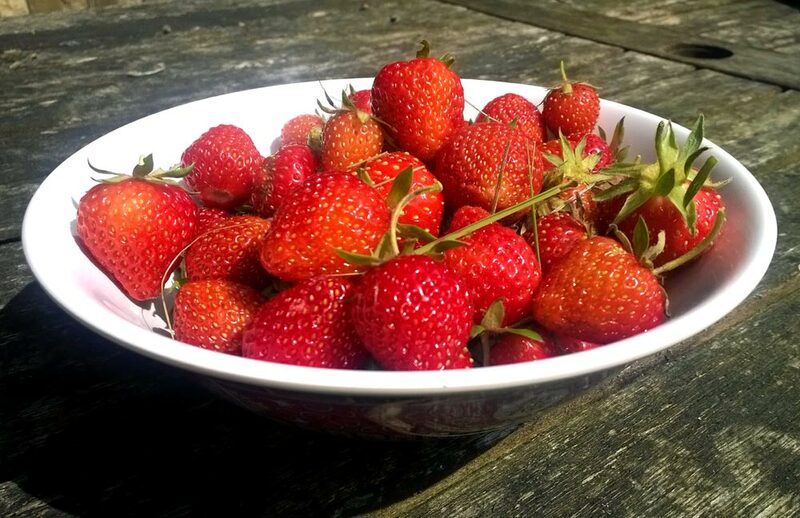 Love love English rain – and those strawberries!!!! Where would Wimbledon be without rain and strawberries? Personally I love ’em all. The Spring because everything is just busting to go, the Summer ‘cos it’s busted out, Autumn because it’s all starting to calm down and relax and Winter simply because everything is chilled and getting ready to do it all over again. By “everything” I do mean us humans as well.